~Note: This event is being posted FYI only and is not an Everest event. Please use the contact listed for any questions. Emergency Management is a combination of local, state and federal government agencies working together with local volunteers and businesses to coordinate resources to minimize and manage emergencies. What does CCEMA really do at the local level? 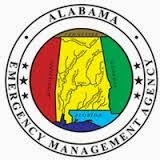 CCEMA is the coordinating agency for all disaster situations in Chilton County. We also help prepare the county for emergencies and disasters, both natural and man-made. How does CCEMA do this? In short, we help our county through mitigation, preparedness, response and recovery. What are some examples of CCEMA's special projects? Directions: **(Note- do not go to the EMA business office in downtown Clanton. Go to EMA off hwy 31, in south Clanton, AL). You can see the Emergency Management Agency building from hwy 31. From Prattville/Millbrook : I-85 North, exit 205, turn Right and go past McDonalds. Continue on Hwy 31 south and 1st road past Peach Park (Left side) is Emergency Management building. You will have to to turn left on County Road 41 to gain entry to EMA. From Pine Level: go North on Hwy 31. Pass Johnson Control (on left side), Verbena. Then turn Right on County Road 41 to enter EMA. From Alabaster/Birmingham: Take I-65 South to exit 205. Turn Left (onto hwy 31 South)to go over interstate. Pass McDonalds. Take 1st Left AFTER Peach Park onto county road 41. Enter EMA building from there.